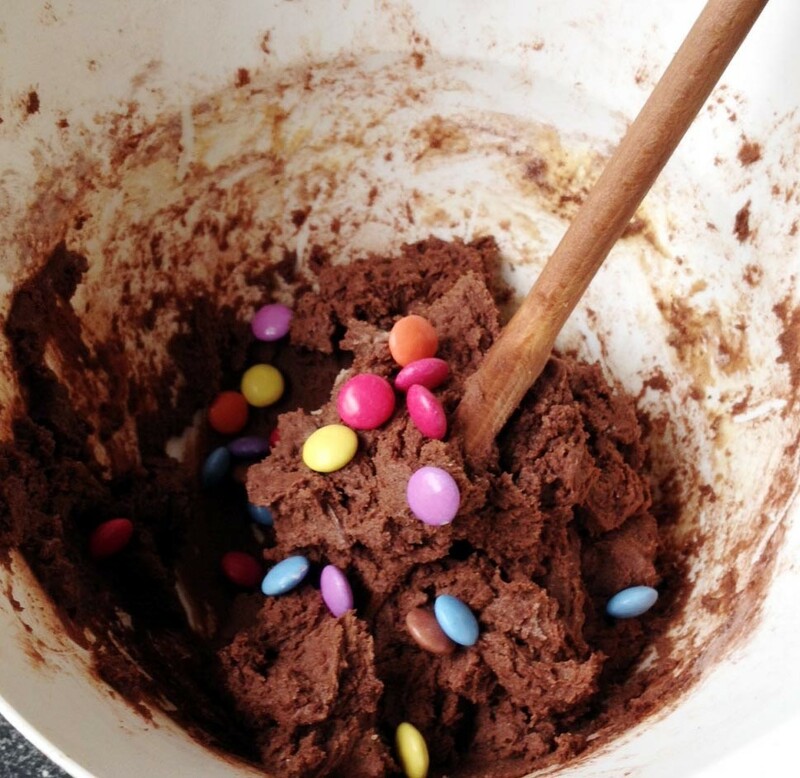 Double Chocolate Cookies with Smarties! Pre-heat your oven to 200°C. Cube your butter and pop into the microwave if it isn't soft already and mix in with your sugar until you have a creamy consistency Once your happy with your mixture, crack the egg and continue mixing. Once you have a smooth pale yellow mixture add in your cocoa powder and your flour. I found that my mixture wasn't mixing too well so I added milk until I had a thick but manageable mixture. 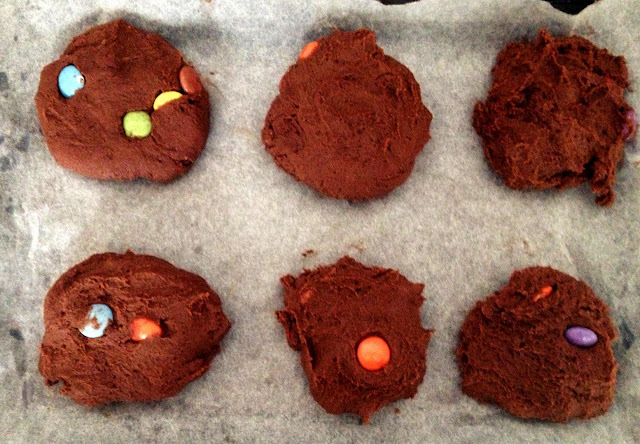 I added my broken up chocolate and smarties to the mixture, and then lined my two trays with grease proof paper or baking paper. This mixture should make around 12-14 cookies, so take a hand full of the mixture roughly make into a ball shape and flatten and place on the baking tray and bake for around 10 minutes. When you take them out of the oven they will be slightly runny so be careful! Then for the difficult part, leave to cool for around 20-30 minutes as they will stiffen up and enjoy (they're perfect when they're warm.) My tip is if they've lasted in your house longer than an hour, pop them in a microwave for a few seconds and the cookie will be nice and warm again! I hope you enjoy this recipe, let me know if you try it out! Go for it, trust me you won't regret it! It's a good tip I found out recently isn't i! Thankyou! 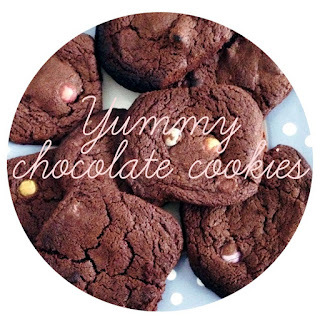 Oh these look amazing! May have to give them a go! this looks soooooo delicious, i am definitely going to make these. M&M's would definately work well! Try out and let me know if it works!